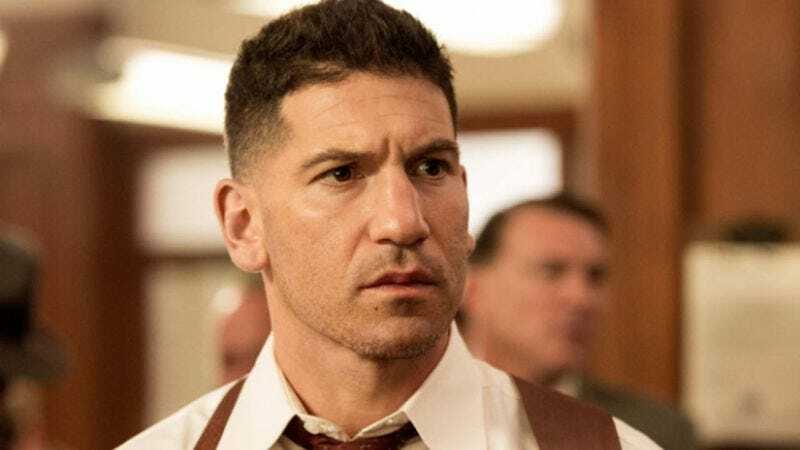 Deadline reports that Jon Bernthal, whom we’ll soon (but not soon enough) see bombarding Hell’s Kitchen with his vengeance, has just joined the cast of Edgar Wright’s Baby Driver. It’s not currently known what part Bernthal will play in the action/comedy/crime film—hard-nosed cop or hard-nosed crook?—but Deadline notes that it will be a “key role.” And while the publication couldn’t illuminate us on Bernthal’s Wright-written alter ego, it did manage to get some information on the characters played by Kevin Spacey, Lily James, Jon Hamm, and Jamie Foxx, and how they will feature in this tale of a getaway driver who probably gets carded everywhere he goes. We already know Ansel Elgort (the Divergent films) will be the baby driver himself, who tunes into a “personal soundtrack to shield him from the chaos that surrounds him,” which sounds like a great way to get yourself killed while driving, but we digress. Spacey is playing Doc, a crime boss who “coerces” Baby (Elgort) into working for him. Doc’s coterie includes Buddy (Hamm), a “handsome party animal” who is almost certainly a human and not a CGI animal voiced by the Mad Men actor. Eiza González (From Dusk Till Dawn: The Series) will play Doc’s “lawless” girlfriend and partner in crime, Darling, and Foxx stars as his “impulsive gun-slinging cohort,” Bats. Finally, James, who’s preparing to swim the English Channel (for a movie), will play Baby’s “innocent girlfriend” Deborah, who somehow gets tangled up in this mess. The film, which Wright is directing, has already begun shooting in Atlanta, and is scheduled for release on March 17, 2017.